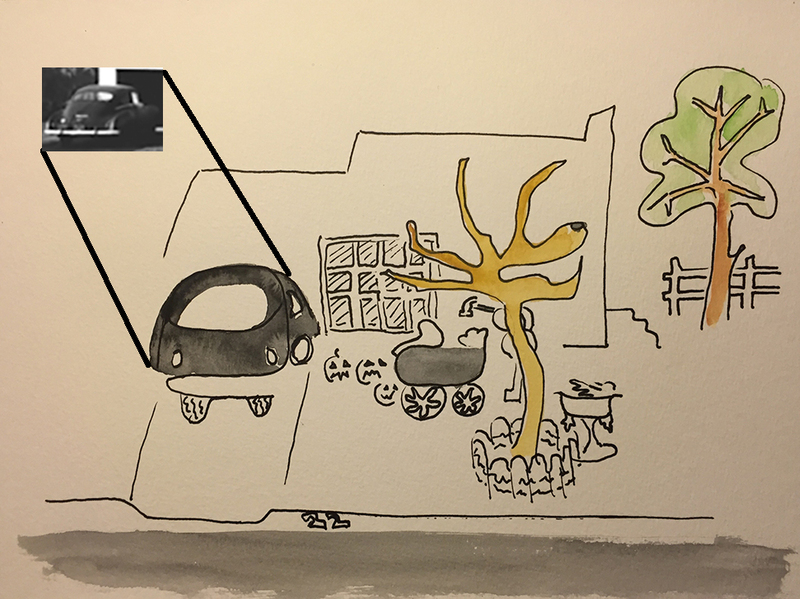 The vehicle depicted in my original homestead map (see After Miró – Prelude) is a 1949 Chevrolet. I remember it vaguely. The oldest family vehicle I remember was our 1957 Chevy, but my friend’s parents had an older one, a 1954 Plymouth, I think. The year 1949 is significant to my past. That was the year my brother Mike* was born. This entry was posted in Mike and tagged artistic process, creative process, creativity, drawing, icons, inset, pen and ink, photograph, symbology, visual arts, watercolor. Bookmark the permalink.